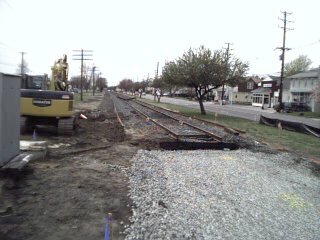 This grade crossing, at Chester Avenue in Riverside, is being completely rebuilt. Finished grade crossing. New signals and new gates. 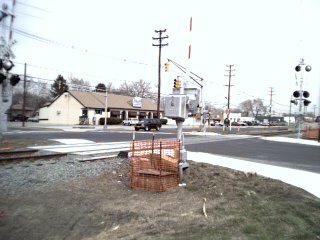 All of the grade crossings on the SNJLRT will have gates as well as signals. 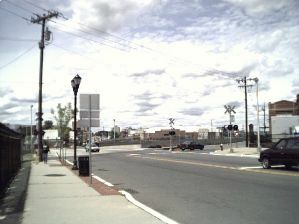 The busiest grade crossing is South Broad Street, Route 206, in Trenton. 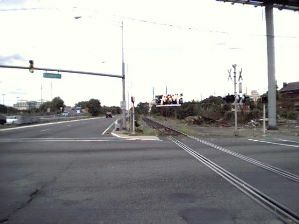 Work has not commenced to upgrade this crossing for the light rail. 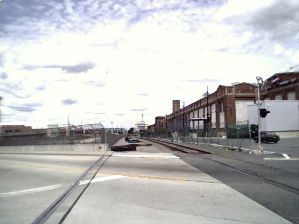 Although rush-hour traffic has been reduced with the addition of Route 129, considerable back-ups will be produced when the gates come down for light rail trains. 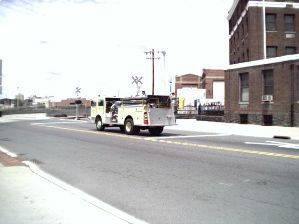 With fire stations located with a few blocks of either side of this crossing, once necessitated by both the passing of PRR trains and canal barges and boats, the Trenton Fire Department is already prepared to handle the disruption to fire response routes. 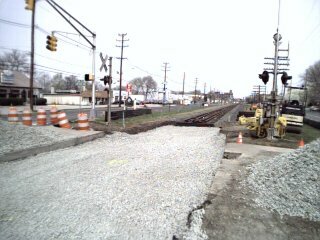 The Hamilton Avenue, Trenton, grade crossing prior to the start of upgrade work. 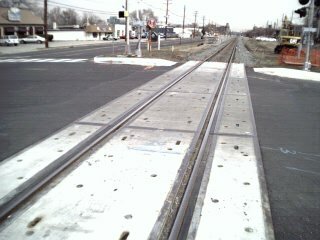 This two-inch gap is just south of the Hamilton Avenue Grade Crossing. 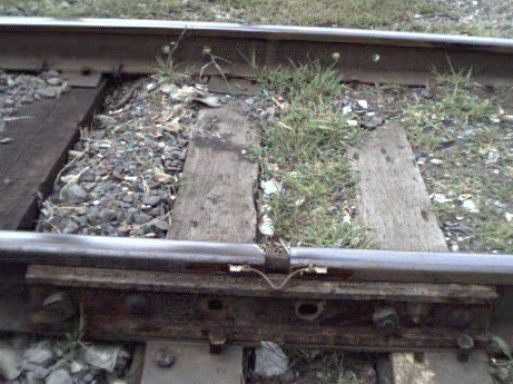 Replacing the track will definitely improve the ride.